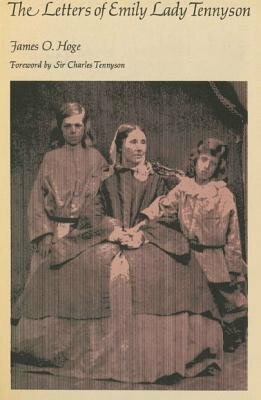 The letters in this volume, virtually all of them personal letters to close friends and relatives, cover nearly fifty years of Emily Tennyson's life, from shortly before her marriage right up to the week of her death. These letters tell the reader much about the Tennysons' acquaintances and their guests at Farringford and Aldworth, many of them among the literary and political luminaries of the day. But more importantly they comment on Tennyson himself and on daily life in the Tennyson household. Written with no thought of posterity, Lady Tennyson's letters reveal the domestic Tennyson, just as he was, for the first time. They reveal crucial information about Tennyson's reading and his intellectual and spiritual preoccupations; and they will contribute in time to a better understanding of the complexities and subtleties of Tennyson's verse. Of course, these letters also provide a running account of the life of Emily Tennyson herself, and they give a valid impression of the sort of woman she really was. Her common sense and her erudition, her tolerance and her boundless kindness, her appreciation and command of music and other arts, her social and political awareness, her persuasive effect on Tennyson's poetry, and her shaping influence on the lives of the people who knew her best--all these aspects of Emily Tennyson are displayed in her correspondence.